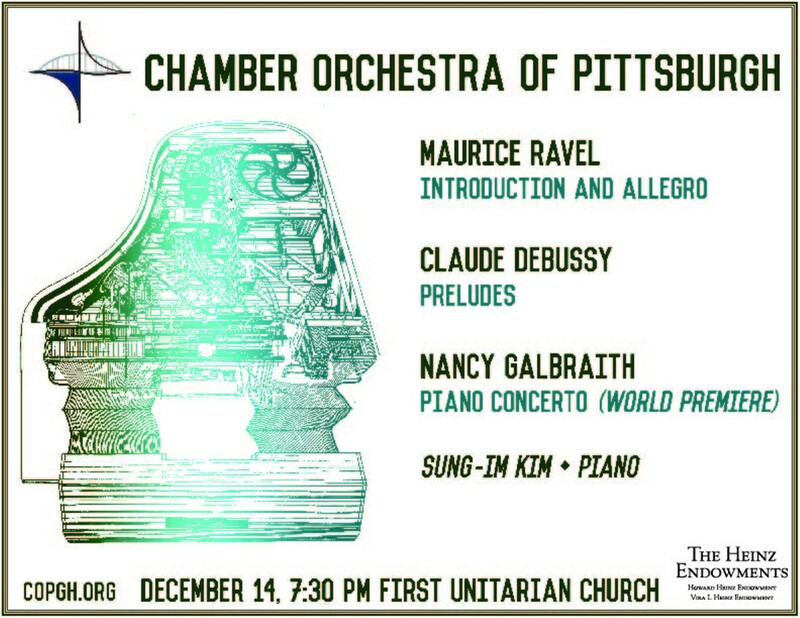 On December 14, 2018, the Chamber Orchestra of Pittsburgh will perform a newly commissioned piano concerto by Nancy Galbraith, with soloist Sung-Im Kim, as well as Ravel’s Introduction and Allegro and selections from the Piano Preludes by Claude Debussy, arranged for chamber orchestra. 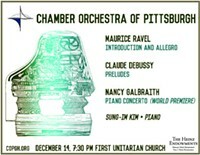 The concert will be performed at the First Unitarian Church on Morewood Avenue in Shadyside, and will begin at 7:30pm. Free reception to follow.